Windows (bar Windows 8) comes with a Start Menu. However, that Start Menu isn’t easily customizable… at least not like how people would like it to be. That is where Start Menu X comes in. 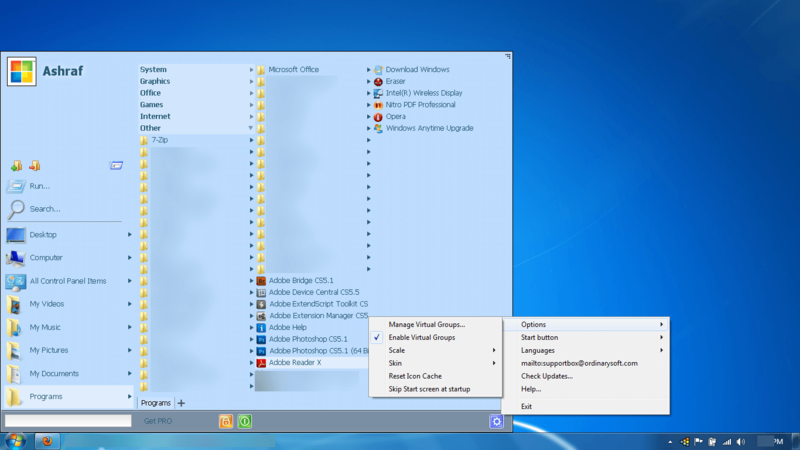 This program replaces your Start Menu with a more customizable menu. It even works with Windows 8, bringing back the Start Menu. Start Menu X replaces your default Start Menu, or adds a Start Menu in the case of Windows 8, with a more customizable Start Menu. With Start Menu X, you can easily add whatever you want to the Start Menu — folders, files, documents, programs, etc. Take note Start Menu X has a freeware and a paid (Pro) version. We specifically reviewed the freeware version but we will mention the differences between the two. 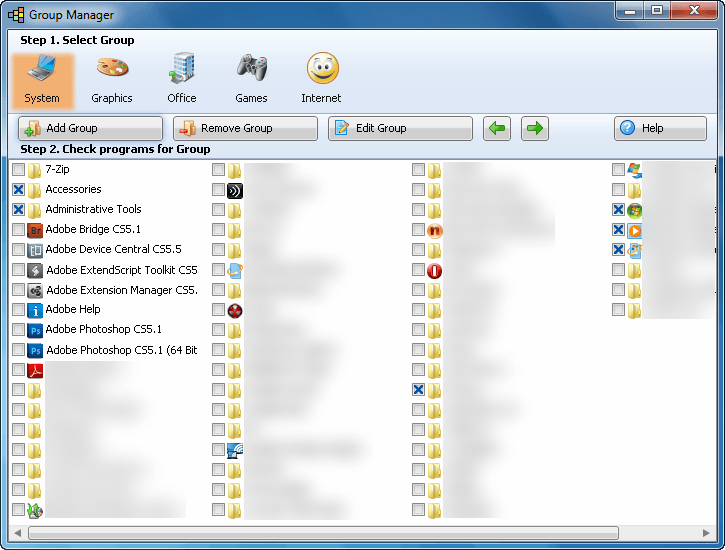 Allows users to customize the menu as desired, adding any folder, file, document, program, etc. 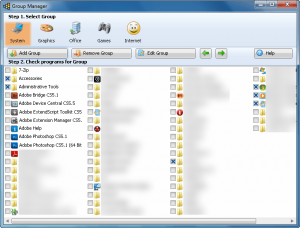 Supports ‘Virtual Groups’, which allow you to group common files/programs/etc. into one sub folder for Start Menu X without actually grouping them in a folder in Windows. Comes with five groups — System, Graphics, Office, Games, and Internet — and these must be manually enabled if you want to use them, they are disabled by default. Allows users to skin Start Menu X. The program itself comes with five skins with users having the ability to add their own custom skins if desired. Default transparent skin makes text extremely hard to read if the background window is white. You need to manually change to a different skin to fix this issue. Start Menu button/orb replacement is poorly implemented. The custom orb simply overlays over the default Start Menu button instead of completely replacing it. Note: There is a freeware program ‘Start Button 8’ by the same developer which claims to allow for skinnable Start Menu orbs in Windows XP/Vista/Win7/Win8. My guess is that program fixes the poor implementation of Start Menu X’s skinnable orbs. However, I have not downloaded Start Button 8 so I cannot confirm that. Take note that during installation of Start Menu X you will be asked if you want to install Start Button 8 or not; it is explicitly opt-in, so you don’t have to if you don’t want to. Start Menu X replaces your Start Menu with a more customizable menu. The biggest advantage to Start Menu X is the fact that it allows you to add any folder, file, document, program, etc. that you want; you cannot easily do that with the default Windows Start Menu. If you had folders or drives, Start Menu X allows you to access the contents of that folder/drive plus all the subfolders in that folder/drive. As per my tests, Start Menu X uses roughly 32 MB of RAM. That isn’t too bad for a program that is likely on all the time but is isn’t exactly low either. As I’ve mentioned multiple times, the use-case behind Start Menu X is a more customizable Start Menu. In that regard, it does a fairly good job although you will need to shell out for the Pro version if you want enhanced customizability. 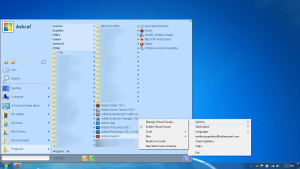 However, in my opinion there is one annoyance of Start Menu X that almost kills the program (at least for me). I’m not sure if it is just my computer or if the program is designed to behave this way, but I noticed there is a very annoying delay (roughly .5 secs) between when you hover your house over a folder/drive in Start Menu X and when Start Menu X displays the contents of that folder/drive. This delay, although short, is extremely annoying and slows down productivity. There is no option within the program to change this delay. There really isn’t too much to Start Menu X. It is simply a third-party Start Menu replacement program that is for people that want a more customizable menu. If that is your cup of tea, then feel free to check out this program… especially seeing as it has a freeware version you can give a whirl before purchasing Pro. Do take note, however, that the above-mentioned delay may drive you nuts. You have been warned.